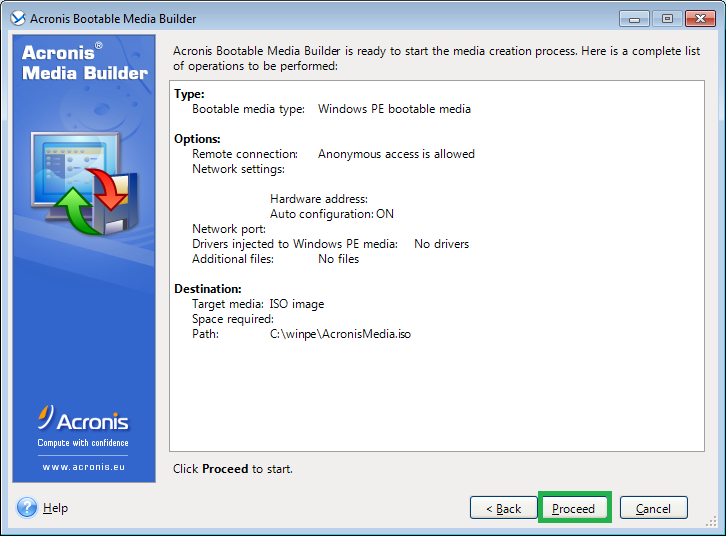 Adding the Acronis Plug-in to the existing PE ISO. 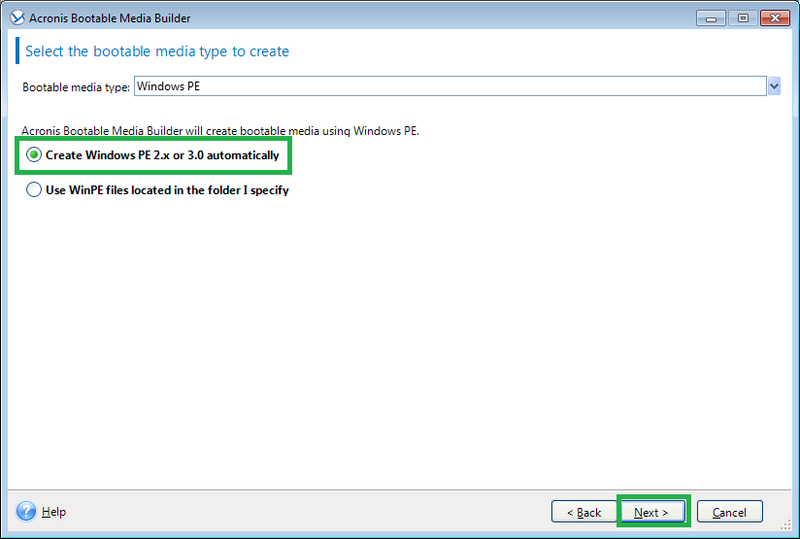 This comes in handy when you have to add the plug-in to the previously configured PE ISO that is already in use. Creating the PE ISO with the plug-in from scratch. 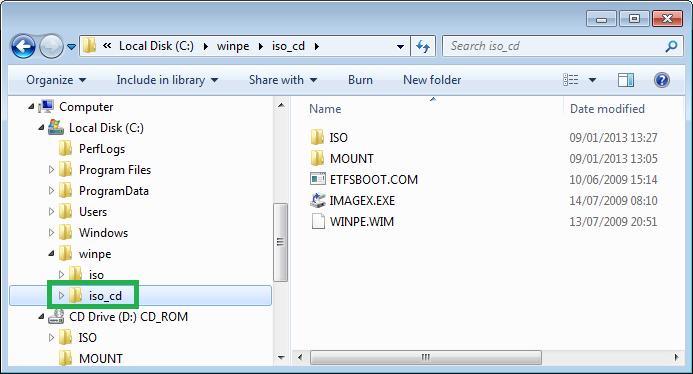 Adding the Acronis Plug-in to a WIM file for any future purpose (manual ISO building, adding other tools to the image and so on). 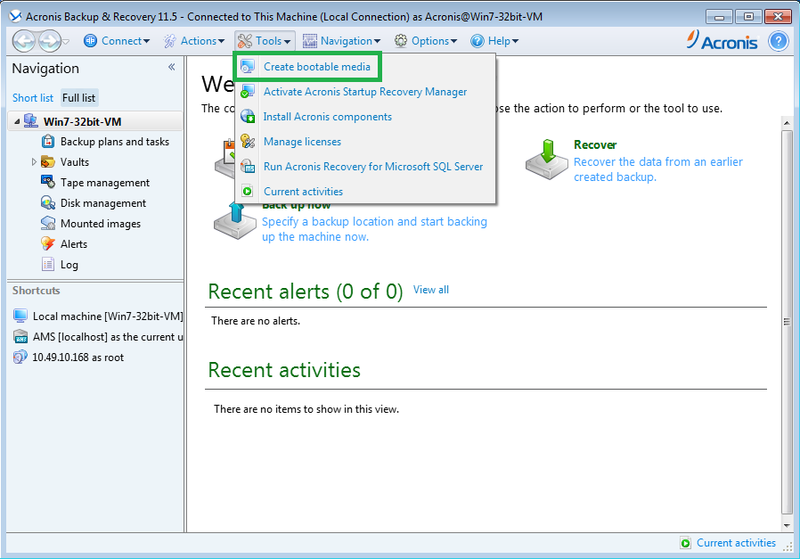 For Acronis Backup & Recovery 11 use this section. If Agent for Windows or Agent for Linux is not installed on the machine, specify the license key or the license server with licenses. The licenses will not get assigned or reassigned. They determine which functionality to enable for the created media. 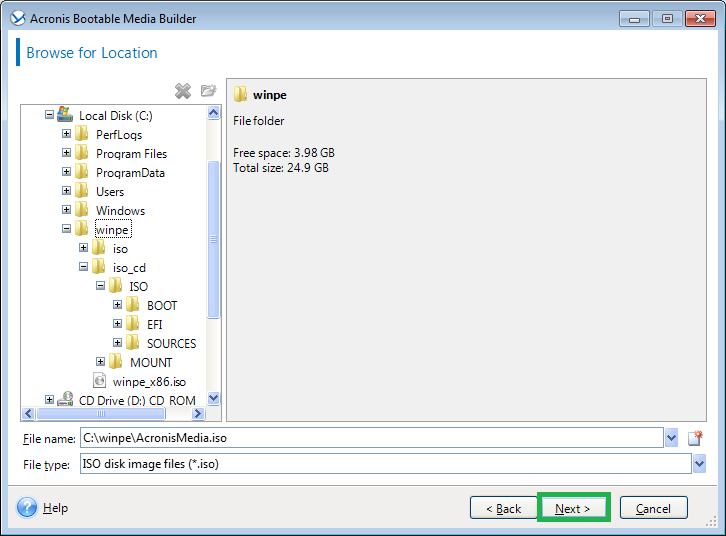 Without a license, you can create media only for recovery from the online backup storage. If Agent for Windows or Agent for Linux is installed on the machine, the media inherits its functionality, including Universal Restore and deduplication. 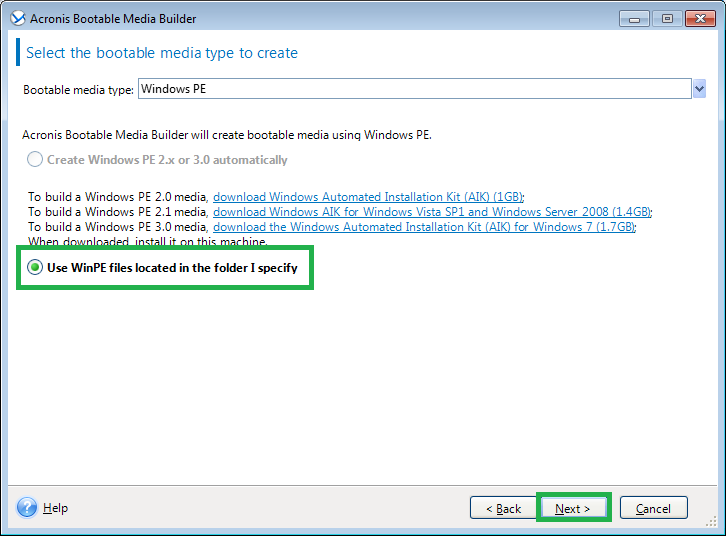 If needed specify the Windows drivers to be added to Windows PE. Once you boot a machine into Windows PE, the drivers can help you access the device where the backup archive is located. Add 32-bit drivers if you use a 32-bit WinPE distribution or 64-bit drivers if you use a 64-bit WinPE distribution. 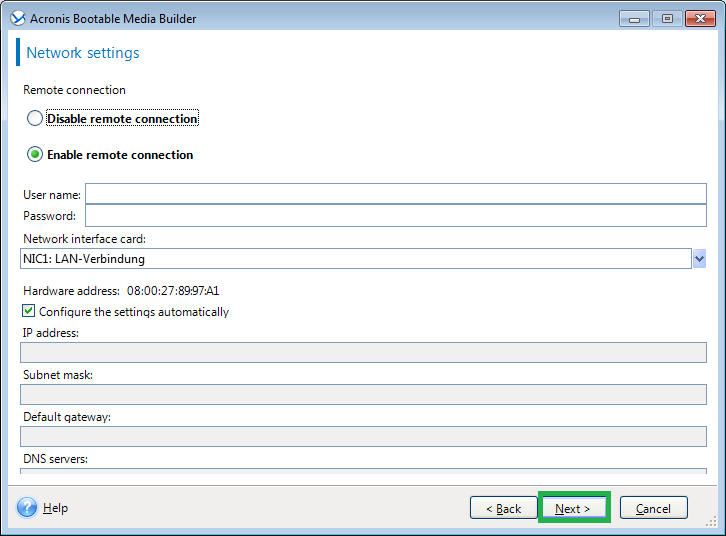 Also, you will be able to point to the added drivers when configuring Universal Restore. 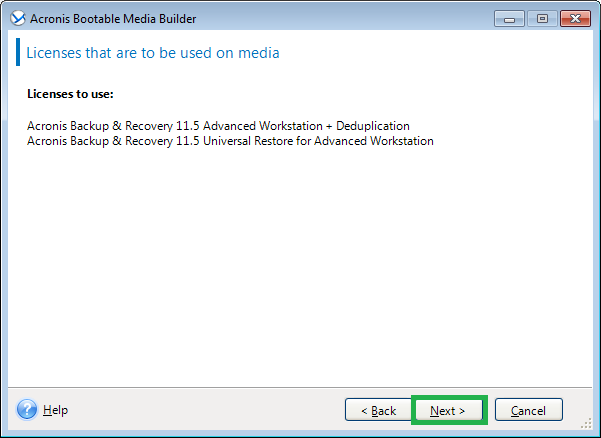 For using Universal Restore, add 32-bit or 64-bit drivers depending on whether you are planning to recover a 32-bit or a 64-bit Windows operating system. - Click Add and specify the path to the necessary *.inf file for a corresponding SCSI, RAID, SATA controller, network adapter, tape drive or other device. 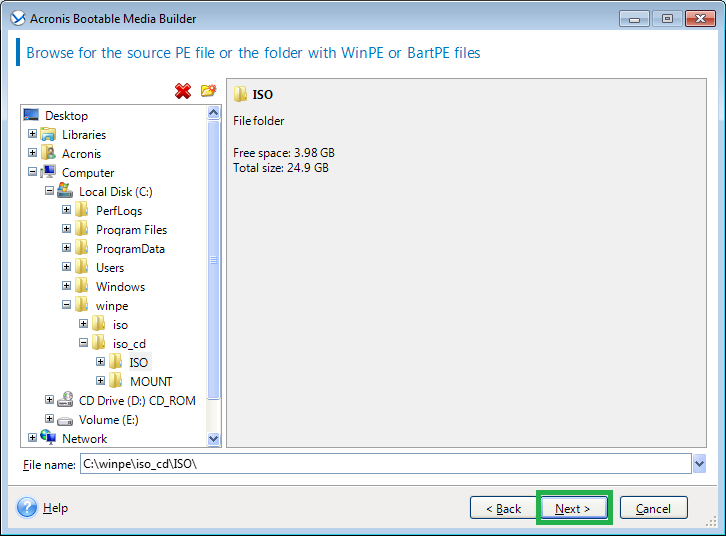 - Repeat this procedure for each driver you want to be included in the resulting WinPE boot media. Once a machine boots into WinPE, Acronis Backup 11.7/11.5 starts automatically.